It’s been a long week. Who am I kidding? It’s been a long month… year, really. And yet, somehow, we’re already through October! WTF?!? A few nights ago, Brent and I were “this close” to throwing all sense and good judgement out the window and just ordering Chinese food. We were tired. We were hungry. And we had made grand plans to cook at least two meals to finish out our week but neither of us had any interest in cooking. OK–so, we did not cook two meals. The one meal we did make, however, was well worth the minimal effort. 😉 Sweet potato fries and Chipotle Chops… ummm YUM. First of all, you can never go wrong with homemade sweet potato fries. Whether or not you season them with spices, they are just awesome. Tonight, we went with unseasoned because Brent had suggested I put big flavors on the pork chops. Blend spices together with your handy mortar and pestle (or just stir them together in a bowl with a fork–no need to be fancy!). 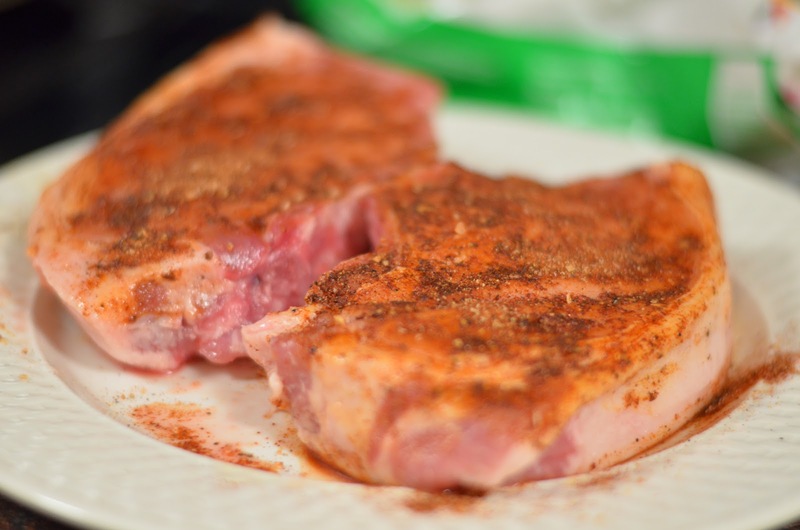 Rub on both sides of the chops. Let the rub settle in for at least 30 minutes. 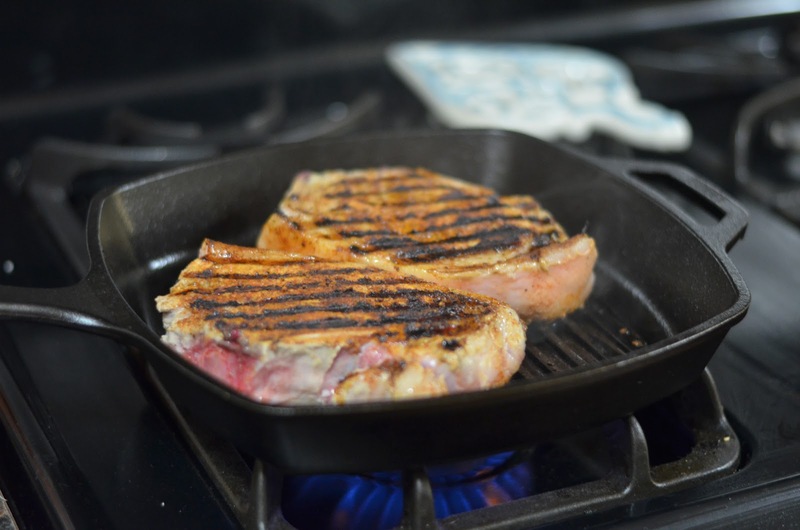 Sear both sides of the chops for two minutes each in a cast iron skillet or in an oven-safe pan over medium-high heat. Then, place the whole skillet into the oven for 10-15 minutes. Remove from the oven, place a serving plate and tent with tin foil for at least 5 minutes. P.S. I apologize for the lack of visual aides in this post. We were extremely tired, grumpy and hungry; as soon as the food was ready, we gobbled it up without even thinking about taking a picture. Whoops! 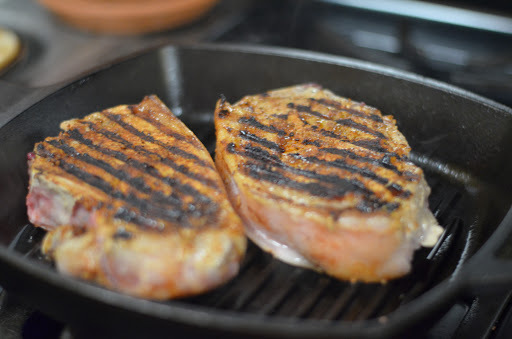 These look delicious- I keep wanting to buy pork chops but I'm never quite sure what I want to do with them. Looking forward to trying this recipe!